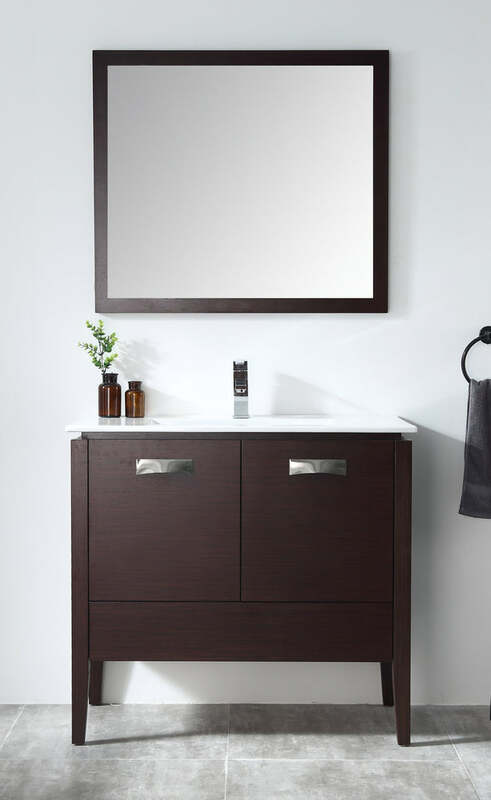 Measuring just 36'' W, this clean-lined vanity is ideal for half baths and compact powder rooms alike. 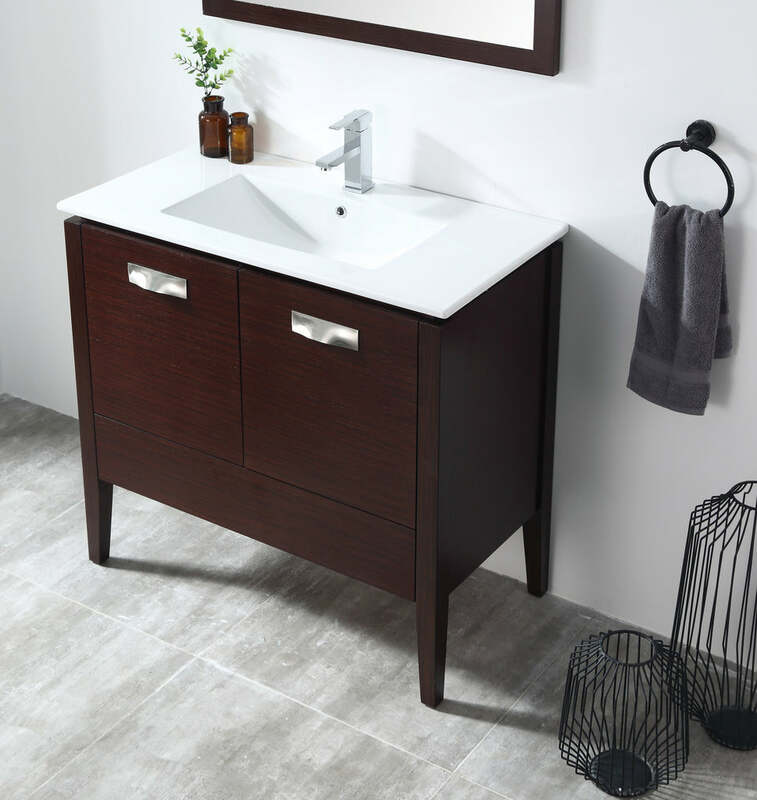 Constructed from a wood veneer base and white porcelain sink (included), it puts a sleek figure in your spa-worthy space. 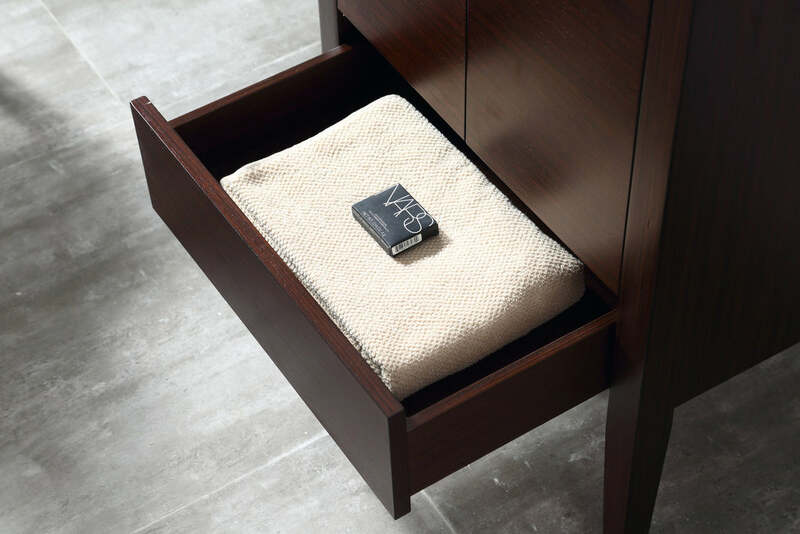 It consists of two front doors with soft-closing hardware; a lower drawer for storing essentials such as towels and toiletries. 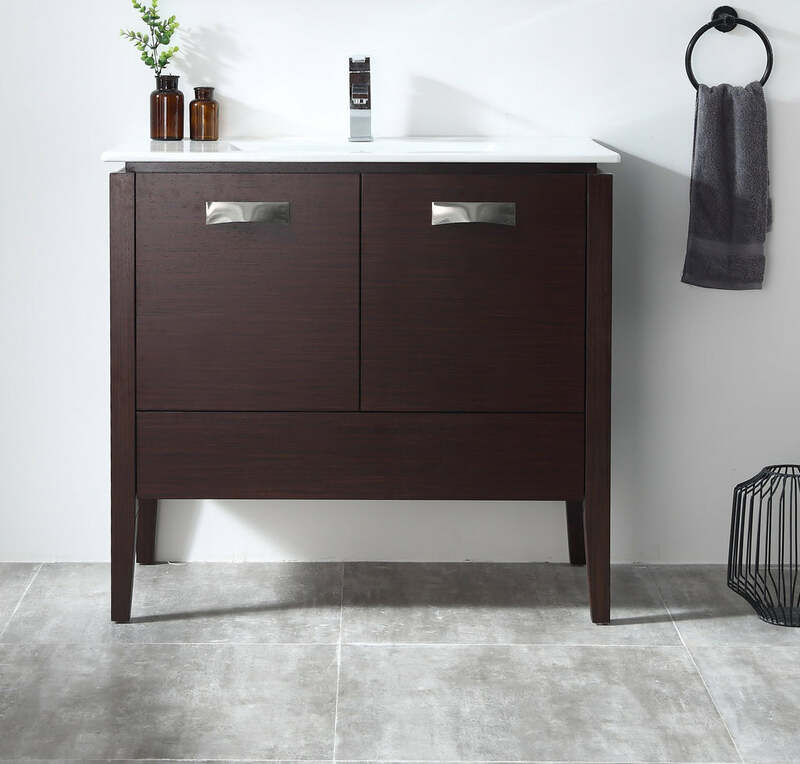 The full-width sink adds to the modern look and comes with a single pre-drilled hole for a faucet (not included). 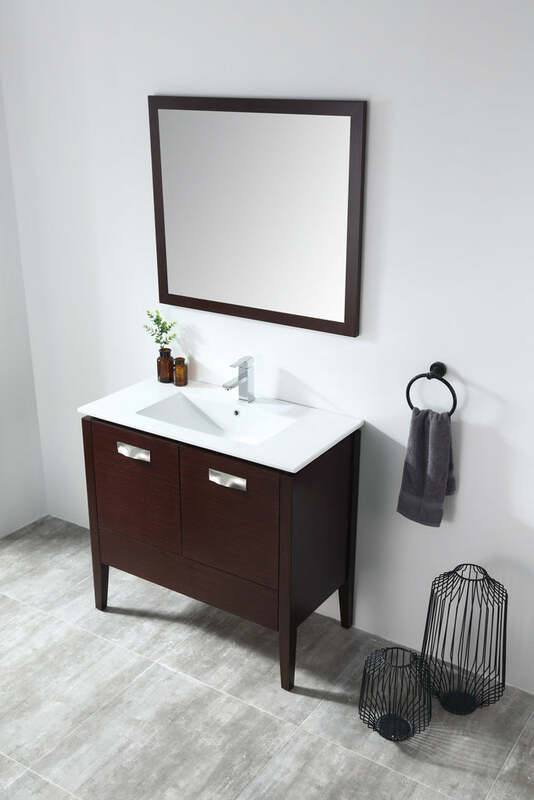 This single sink modern bathroom vanity is made out finest select birch solids, high-end furniture-grade construction, made with 100% solid wood and plywood only.